How Many Clothes are Enough? Do you know many clothes are enough for you? When I started this blog, I had close to 300 garments in my closet. While that is definitely a large number, I know that I probably had at least 500 garments several years earlier. Back then, I never stopped to ponder topics like “normal-sized wardrobe” and “enough clothes.” I had an insatiable appetite for more and there was no end point in sight. I believed that in order to dress well, I had to shop constantly and continue bringing more and more new things into my already stuffed closets (yes, there were multiple closets back then – and I still didn’t feel I had enough space!). Then I discovered the minimalism and simplicity movements. My husband and I moved to a smaller apartment and downsized and simplified our lives in many ways. We discovered that we were happier and more peaceful with less. My burgeoning wardrobe started to feel like a contradiction when juxtaposed against the rest of my life. I wanted to downsize my closet along with everything else in my surroundings, but I was (and am…) a shopaholic, so that was much easier said than done. Do You Have a “Closet Set Point”? Tracking what I have and what I do and don’t wear was an important first step on my journey toward a more manageable wardrobe. I really got to see how much I was wasting in terms of money spent on clothes – and clothes that just weren’t being worn. I started to pare things down, donating or consigning the excess, but I’d often find myself bumping up against a sort of “closet set point.” Once my wardrobe got below a certain level, feelings of scarcity and panic set in, which sent me rushing out to buy more clothing once again. I encountered very similar situations with my wardrobe styling clients, so I know I’m not alone in feeling closet scarcity and panic. Some clients would fight me or even shed tears over letting go of garments that hadn’t been worn in years. They’d argue that they might need these clothes someday, even after many, many “somedays” had come and gone without the garments even taking a single spin around the town. Now there are a multitude of psychological issues that could be addressed in line with clothes and why we hold onto them. But for the purposes of this post, I’d like to focus more on the practical. How many clothes are enough for one person to own? There is some good news and some bad news in regards to that question. Since I’m one who likes to get the bad news out of the way, let’s start there. The bad news is that there is no one right answer in terms of how many clothes a person should have. Much like the issue of a clothing budget, the answer will vary based upon a person’s unique situation. But the good news is that you can come to a reasonable conclusion for how many clothes are enough for you. A number of variables come into play when determining an optimal number of clothes for your closet. Some of these variables correlate to a need for more clothing, while others correlate to a need for a smaller wardrobe. Why Might You Need More Clothes? You work in an office five days per week. You have an active and varied social life which includes lots of different types of activities. You often wear more than one outfit on a given day (e.g. one outfit for work and one for evening activities). You live in a varied climate and need a four-season wardrobe. You fluctuate a lot in weight such that you need to maintain a few different sizes in your closet. You’re a “mood dresser” who likes to embody a variety of style personas in the way you dress. You’re okay with only wearing some of your clothes a few times per year. Choice is more important to you than cost-per-wear or getting a lot of wear out of the clothes you own. Why Might You Need Fewer Clothes? You work from home and don’t leave the house on at least a few days each week. You are a “home body” who doesn’t go out very often, or all of your activities are very casual in nature. You only wear one outfit each day – or you spend some days wearing only lounge wear. You live in a more temperate climate with similar weather all year round. Your weight is relatively stable and your clothing size stays consistent year after year. Your sense of style is fairly fixed. You know what you like and are okay with frequent outfit repeats. You like to have a smaller, more minimalist wardrobe. You prefer quality over quantity and like to get a lot of wear out of your clothes. Of course, the lists above are not exhaustive. You may have more reasons why you feel you need a larger or smaller wardrobe, but I hope the lists got you thinking about your life and what makes the best sense for you. Perhaps you looked at the lists and saw some inconsistencies between your lifestyle and the size of your wardrobe. Maybe you have a wardrobe for an office worker who goes out most nights of the week and who lives in a four-season climate, yet you work from home, rarely go out, and have consistent weather throughout the year. Sound like anyone we know? Yes, I resemble that description… My closet is still more suited for a lifestyle that is not my own! While I used to be okay with having lots of clothes and rarely wearing most of them before passing them on, I now want to wear what I have often and actually wear things out before purging them from my closet. My perspective has changed, as has my lifestyle, so my wardrobe should change accordingly. I might have purged the wrong things, as it’s taken time for me to understand what I truly love and wear. At times, I have proceeded too quickly with paring down my wardrobe. After my Project 333 stint, I felt empowered to let things go. My definition of enough was challenged and I learned that I just don’t need as many clothes as I thought I did. Yet I didn’t really understand what my optimal wardrobe size should be. So when I got rid of a lot of clothes back in June/July, I followed that closet purge with somewhat of a shopping “binge” in August. I panicked because I felt like I didn’t have enough clothes to create interesting and varied summer outfits. That wasn’t really true, but I believed it was true and acted accordingly. “Benchwarmers” in October Means Too Many Clothes! My recent post about “Wardrobe Benchwarmers Past and Future” really helped me to understand that my wardrobe is still too large. There’s really no good reason why I should still have so many clothes that have only been worn once or not at all by this point in the year! Ideally, most of my clothes would have been worn at least a few times by mid-October. So even though I now have closer to 150 garments in my closet instead of nearly 300, it’s still too many items for my unique lifestyle. Finally, after almost ten months and lots of painstaking analysis, I believe I have enough. In fact, I have more than enough clothes at this point. I may still need to tweak the actual make-up of my closet and make some replacements, but I don’t need more. I may need better in some areas, but I definitely don’t need more, and the “better” can occur gradually over time. So what’s the “takeaway” from this post? I know many of you are also struggling with paring down your wardrobe and determining how many clothes are enough for you. I’m sure some of you have also experienced the “feast or famine” phenomenon of purging a bunch of garments, only to run out and fill your closet back up again. I know I’m not the only one to suffer from a false sense of security in a large wardrobe filled with a plethora of rarely worn items. Many women (and some men) struggle with deciding how much is enough. We hold on to things we don’t wear – and definitely don’t love – “just in case” we might need them “someday.” We hang on to “multiples” because we want variety, yet we wear the same pair of jeans 80% of the time. If we have the courage to take on a challenge like Project 333, we may feel peace and freedom when looking at our temporarily sparse closet, or we may panic when we think of wearing only 33 garments (or total items if you’re being a P333 “purist”) for the next three months. Enough is a very individual concept and it can also be a moving target. I know it was for me… My initial target was 250 total items (clothes, shoes, purses, and scarves), then 150 garments. Now I’m leaning toward 100-120 garments and 25 pairs of shoes, as that feels right to me at this point. But if someone would have mentioned those numbers to me back in January, I would have felt anxiety creeping up my sides. I would have been scared that I wouldn’t have enough. Time, exploration, and experience have adjusted my perception of enough. I’ve pushed myself too far at times and have had to recalibrate as I’ve settled into a new reality. I’ve sometimes taken two steps forward and one step back. At times, I’ve felt like I’ve been moving at a snail’s pace, but I’ve kept moving, even after sizable setbacks. So my advice for those who are still struggling is to be gentle with yourself and proceed at a pace that’s comfortable for you. Push yourself outside of your comfort zone, but don’t push yourself too hard. If you’re worried about getting rid of too much, box some things up or put them in another closet out of sight and out of mind. Or get rid of just a few things at a time and let yourself gradually readjust to a new closet reality. This isn’t a sprint; it’s more of a marathon. You didn’t build up an oversized wardrobe overnight, so don’t expect yourself to cultivate an optimal sized closet at lightning speed, either. Just keep going. Keep looking at what’s enough for you and keep readjusting as needed. You’ll get there and so will I. We can do it! This entry was posted in Behavior & Psychology, Wardrobe Management. Bookmark the permalink. Good post Debbie! Right now I have 227 items including coats, shoes, boots, etc. I started the year with probably 500 so I am okay with the amount that I have right now. I suspect as my life keeps changing, so will the amount of things that I buy and own. I’m content to stay on the path I’m on right now and see where it takes me. I do much better if I approach things in a gradual way. Every time I’ve tried to rush things it has backfired on me. Several years ago I had a large amount of debt and I overspent on EVERYTHING. I was the type that would go to get paint and would come home with 3 cans because I wasn’t sure what I wanted or I would buy 3 dresses for one event. I have come a very long way from that through slow and steady changes to live a debt free life today. I definitely have enough and I am grateful for it and for how far I’ve come. I want to continue to change and will go with the formula that has brought me success so far. We really do sound similar, Tonya. A lot of my closet excess relates to my indecision and not trusting myself to make the right choice. The gradual approach in letting go of things has worked better for me. When I get rid of things now, I’m truly ready to let them go, and it’s getting easier as time goes by. You’ve made tremendous progress and seem to be in a very good place. Congrats on being debt free and keeping it that way! Great analysis here. Coming from a P333 convert, I stuck to 33-35 pieces for the last year, and was working in an office 5 days per week. I am an outfit repeater, especially in winter. No one noticed or cared, or was upfront enough to ask why I was wearing the same things. I wore the same outfit two days in a row, and changed out of my work trousers once I’d got home. I wore the same pair of trousers 5 days in a row. Some people might find that gross but I’m also hyper-conscious of being smelly, so I would never ever wear things that I thought were dirty. You’re right that it needs to happen gradually. If you had presented me with the wardrobe I have now for winter (total about 40 pieces) about 2 years ago, I would have gone out and bought more clothing. I always felt scarcity in the jumper department, and would always be looking for them. Now I have enough without buying more. I’ve stopped working outside the home and wear even less clothing. Now I repeat things even more, because I’m not cycling as much and therefore the clothes last longer. Just wanted to provide my perspective from the office worker point of view! If you feel scarcity, I recommend journalling about it, and really discovering why you feel that way. it’s often something emotional that’s missing, rather than actual clothing. I agree that a gradual and mindful approach to reducing closet size is the way forward, otherwise it’s just inviting us to go out and buy more if we haven’t discovered WHY we are buying so much in the first place. Thanks so much for sharing your perspective, Linda. It’s definitely doable to do Project 333 while working in an office. You’re right that most people don’t notice or care what we wear, but some people like to have more variety when working in an office situation. As I wrote, how many clothes is enough is a very individual thing and changes over time for most of us. You have made amazing progress with your wardrobe and “dressing with less” and are an inspiration. I like your tip to journal about feelings of wardrobe scarcity. I don’t get them as much as I used to, but it would help me to better understand where they’re coming from. I know that it’s really not about the clothes, but rather emotional issues that are coming into play. I am a new reader (maybe found you through The Nife en l’Air?) and really enjoy your blog. I wanted to comment here because I am not quite sure that I understand your comments about needing a smaller wardrobe if you work from home. I have worked from home for nearly my entire career, and have found (read: learned the hard way) that it is generally better for my mental health and productivity if I dress with the same care and variety as if I were going to an office each day. Granted, the distribution of items in my wardrobe is likely different (more corduroy pants, fewer wool skirts), and my perspective may be influenced by the fact that I live in a very casual city and work in a casual/creative industry. Still, I am not sure why working from home implies a smaller *number* of garments necessarily. I guess I’m just standing up for the idea of dressing for yourself, even if no one else sees you on a particular day! Welcome, Sarah, and thanks for your comment. About working from home, I’ve also been doing so for the past 14 years. While I always take time to shower and dress before I start my work day, I usually dress very casually and comfortably at home. I know that some people feel they are more productive if they wear business clothes (or business casual) in their home offices, so those people might need more clothes than those of us who dress down at home (although I’m experimenting with dressing up more at home – jury is still out). Even so, a lot of those who work from home will have more outfit repeats than those who go into an office. Of course, everyone is different. I made the point about working from home as something that MIGHT impact how many clothes one has, but it’s certainly not an absolute. All of my points were made as “food for thought” to help people decide how many clothes they need, if they’re not sure. I think it’s great to dress for yourself and a good policy whether you’re seeing lots of people or no one else on a given day. I fall into the category that needs more rather than less clothing to feel good. I don’t like wearing the same thing two days in a row for a number of reasons: I work in a different environment or set of circumstances every day–sometimes at home, or at the office, or attending a presentation, or going onsite outdoors to a client. Each of these circumstances calls for different types of clothing. For example, if I go onsite, I need to be prepared to have to climb around and be physical. If I am at a presentation, I have to give off a professional powerful vibe. Since as a rule I am rather active throughout the day, I always feel like my clothing smells at day’s end–and most days I have managed to spill something or get dirty, so whatever I am wearing requires cleaning after one wear. For this reason I often buy basics in multiples if I think its something I will need to wear more than once a week. At the present moment, I have 165 garments for the entire year. At the beginning of April, faced with a closet burgeoning with around 500 pieces, I told myself that the goal was 198 total, and I didn’t think I could make it. Now I am surprised to find I’ve gotten down this far. And yes, its funny, but it still feels like too much! I am continuing to purge. I actually thought of you when I was making some of my points, Deby. It definitely seems like you are someone who needs more clothes than many of us, but your wardrobe size at this point is actually not all that large. 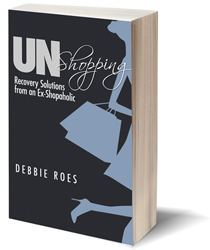 You have really made amazing strides with minimizing your wardrobe in a short period of time. You’ve even exceeded your goal – bravo! I like the idea of repurposing clothing and have been doing that myself as well. Your idea with the sweater was a good one and it allows you to enjoy it for a while longer. How great that you’ve gotten almost 20 years of wear out of it and it’s still going! I want to share a pointer I have seemingly learned by accident over the past 3 decades because I certainly didn’t realize it up until recenly! As I look through my closet in some ways it is a trip down memory lane. I have clothing and accessories that have served me well for over 20 years – and are still relevant today. At the time I purchased these things, I had no idea they would up have such long lives with me. My laptop bag is a Coach briefcase I purchased in 1983, following the birth of my son, as I was getting ready to re-enter the working world. I have used it now on a daily basis for 30 years and it looks great. I have a black wool jersey skirt and cardigan purchased in 1995 that still looks current. Cashmere cardigans from the early 90’s. There are several more key items like this in my closet. They are the true backbone pieces that I have ultimate trust and comfort in. How have they managed to live so long? I believe it’s because of how I chose them in the first place. My shopping philosophy is that I always buy the best I can afford without breaking the bank. I’ve read lots of material on tailoring and fabrics, so I always keep informed as to quality. (I’ve trained myself to run my hand down a line of garments on a rack and pick out the fabric content substantially by touch alone.). All of my backbone pieces are made primarily of natural fibers: wool, cashmere, cotton, leather, etc. Style wise, they are all classic in design, hence not trend driven, although they are not strictly cookie cutter by virtue of color or design details (subtle) and can look current at any time, depending on how they are worn. But most importantly: every one of the pieces “spoke” to me in an immediate visceral way the instant I saw them. You may know what I mean… You just KNOW that it is perfect…the ultimate 10. So the next time a garment calls out to you, pay attention. It may just be a classic that will stay with you for years, and you will find you never tire of it! By acquiring your 10, if you are being mindful, you will find you are no longer interested in other lesser versions of the same thing. This is a really great pointer, Deby! Going for quality over quantity will always serve us well in the long run. I wish I would have realized that years ago, but I’m glad I finally get it now. Thanks so much for sharing. I hit every item on your list of why you might need more. My main problem is that I have a lot of the wrong clothes and not enough clothes that work for me. The weight fluctuation affects me most in the jacket/coat category. I have 12 total and only feel good in 2. My “dog-walking clothes” wear out very quickly, but I don’t like them as much so I don’t buy enough of them. My “office” clothes don’t wear out but since they are more tailored the weight fluctuation makes buying them upsetting, therefore I don’t buy them, and therefore I wear the same pants 3 days a week (they are black, no one seems to notice or care). Meanwhile, I have a terrible sweater obsession, even as winters seem to be getting shorter and warmer than they used to be, so I have a lot of them that I love and never get to wear. It is very hard for my emotional shopping style to have clothes that actually fit my lifestyle, even with the reasons to have a larger number overall. Another variable in # of clothes one has might also be access to laundry facilities. Before I had my own laundry, I had to schlepp my clothes to a laundromat once a week or so. As a result I had a greater number of undies, tops, sheets, and towels than I do now. Good point, Dottie. I remember my days of schlepping (great word!) my clothes to the laundromat and it wasn’t fun! Even now, I don’t enjoy doing laundry, so I keep more undergarments and layering pieces on hand to minimize how often I do a wash.
Oh I remember those days well when my son was small and we lived in an apartment. Our laundry was in another building from our unit. Many nights I braved the elements after work on dark winter evenings to schlep the laundry across the common area, freezing my bum off! I tried all kinds of strategies, such as loading up the car and going to a laundromat, but that was even more exhausting because I had to get it all done at one time, with an impatient toddler to deal with as well! The first time I bought my own washer and dryer, a used 14 year old Kenmore set purchased from a neighbor (which I got another 5 years use out of–and we put it through its paces! )–it felt like the most important purchase of my adult life at the time, for the convenience it afforded me. I practically fell down and kissed the ground, I was so ecstatic! Good point, Cornelia. Most people don’t notice the subtle nuances of what we wear, especially if we dress in solid, classic pieces. A three to four week rotation should be enough for most people in most situations. Of course, some people want more and that’s not necessarily bad. The important thing is to know ourselves and our needs. For example, Deby has more clothes, but she does wear them all. In contrast, I have more and don’t wear everything I own, so I still need to pare down to better fit my situation. I experimented with my travel wardrobe over summer and 30-60 items per season (excluding footwear, bags, accessories, jewellery and coats) seems to be the right number for me. Enough variety keep me busy and creative, but not too many benchwarmers. I also get bored quickly, and being quite classic in my tastes I run the risk of being too boring, so it seems to make sense to have two or three new fashionable key items each season. Print pants last summer, a leather sweatshirt this fall. But my core items are great basics in flattering neutrals. Your strategy seems like a good one, FrugalFashionista. It’s amazing how just a few new pieces can really wake us out of wardrobe boredom. We don’t need as many new items as we think, but I didn’t realize that until recently. You seem to have found your wardrobe “sweet spot.” Good for you! I hope to get there soon as well. Also one “tip” I find useful for decluttering is to think of it a a layered process. The hardest thing is to get started, so I always start with the easy things : old t-shirts, old pajamas… something inside my head might say “you could regret this” I can still reason myself with such items. Then when I realize how much pleasure I get from having more space for the things I actually love, I’m ready to move on to harder decisions. The hardest are usually the things I find beautiful but that I don’t wear, for some reason or other. I am at this stage of decluttering now and feel very proud. My “enough” number is actually quite high for my lifestyle. The rule of thumb I go by is more “do I seriously love and wear this thing” and I feel I’ve found some kind of balance. Thanks for your kind words, Clara, and for your helpful tips. I agree that it can be good to start decluttering with the “low-hanging fruit.” I started with the easier items myself and have gradually moved on to the harder areas of my wardrobe. I’m at a similar stage to you with my process and it can be painful to let go of beautiful pieces that I’m just not wearing. I cringe a bit at first, but then I feel a sense of freedom once I finally let things go. I think it’s great that you’ve found your “enough” number, even if it seems high for your lifestyle. As long as you’re wearing what you have and feel a sense of balance, it’s all good! I am not sure what my total number of clothing items is, BUT I can tell you it’s about 60% less than it was a few months ago before I moved into my studio in downtown DC. Now, my in season clothes hang on one side of a 30in wide closet, my sports gear in a t shirt organizer, and out of season stuff in a suitcase under my bed. (not including shoes and purses) While I still buy some things in multiples, like Target tee shirts in different colors, and Old Navy crepe tank tops, I am severely more picky about what I bring home from the store and what I keep from online orders. I no longer feel the need to have 13 wristlets, and 4 black crossbody bags. Every time I wear something I haven’t worn in a while, I look at it with a critical eye. If I’m not in love with it, it goes in the goodwill box in the trunk of my car. Somewhat surprisingly, the hardest area to cull has been my tees from college, travel, and gifts. I don’t wear them, but the idea of giving them away makes me feel horrible. I’ve decided to turn them into a t-shirt blanket, but need to find someone who will let me ship them the tees and then pay them to turn it into a blanket. Any ideas! Since I’ve done such a drastic reduction in the past 6 months, I am happy with whatever my number is right now. I will revisit the spring, when I pull my suitcase out and start preparing for warmer weather. Good to see you commenting here, Melissa. I’ve been wondering how things went for you with Project 333. Now I see that the challenge worked its magic on you like it did on me. Kudos to you on your amazing progress! That’s so great that you’re making it work with such a small closet and one suitcase for out of season overflow. Your idea to keep a goodwill box in your car is an excellent one. Mine is in my closet, but I may move it to the car as well. Great idea to have your college tees made into a blanket! I’ve seen that idea on “What Not to Wear,” but I don’t know where one would get that done. I’ve Googled some strange things recently and have gotten answers (do you know you can send clothes and shoes out to have them dyed? ), so I’m guessing the great internet oracle would have answers on this one, too. Let us know what you learn and keep up the great work! I’ve been a terrible blogger the past 2 months. The insane travel schedule is the culprit. I’ll be back up and running November 1! What I like about having the Goodwill box in the car is that you carry things out as you want to get rid of them, serving two purposes: It’s out of the house, and you don’t get stuck carrying a heavy box out to the car. In addition to paring down, I am also upgrading. Nicer shoes now that I can afford them (classic black pumps, knee high boots), better made blazers, and such. It’s a bit of a financial output now, but in the long run I think things will last longer. I look forward to reading your posts when you get back around to blogging, Melissa. It’s great that you are also doing some upgrading of key pieces while you pare down what no longer serves you. It’s almost always true that quality pieces will last longer and it’s worthwhile to spend a bit more on our wardrobe staple items. I have the perfect person to do your quilt! After my husband died I couldn’t bear to get rid of his tshirts and sweatshirts. All of them represented the essence of him and places we’d been together. Some were from HS and college. I loved them because he did. Anyway, after researching I found this website: http://www.toocooltshirtquilts.com/. Click here to see a photo of the quilt I had made (image will open in a new window or tab). I contacted the owner by email and ended up sending her over 50 shirts. I chose the reverse color and the binding color. She does fantastic outline quilting of features of the tshirt. For example, he had a tshirt with a picture of an antique car. So the quilting for that section was around the shape of the car. If you look at the back side of the quilt you can see the car’s shape. Really neat. I asked her to also put in a couple of outlines of a cat. He loved our two cats to death. I will say it wasn’t cheap to have this quilt made but she did an utterly fantastic job with it in a timely manner and I’ve not regretted having it made. Very responsive to email as well. Thanks so much for sharing your wonderful story, photo, and resource with all of us, Kim. The quilt is beautiful and a touching tribute to your husband. Rather than having a stack of t-shirts that you’ll look at once in a while, you now have a lovely and functional piece you can use all the time and reminisce about the great man you loved. Thank you! Great post and perfect timing for me. I have the same unique lifestyle you have Debbie. Today (before I read this post) I had faced the fact that even though I’ve maintained what I feel is a smaller functional wardrobe for the past two years, the truth is I still have way more than I need. And since I have a small closet, even with less, it is still too full and I’m not wearing much of it. So I did another purge today. But I’m having the same problem I had when I first began trimming back a few years ago, it is hard to give away things I never wear that are perfectly good, fit me well and look great. Because what if…. I know, I know. Makes no sense and I know better than to fall for this line of thinking. Why Might I Need More Clothes? I answered “no” to 1 – 6 but I already knew it. I clearly I don’t really even “need” to have 33 items for 3 months because my lifestyle does not require it. And I’m NOT okay with only wearing some of my clothes a few times per year. So why do I not pay attention to cost-per-wear? Why Might I Need Fewer Clothes? I’m nodding my head yes to numbers 1 – 6. However, number 7 grabbed my by the throat. I do like to have a smaller, more minimalist wardrobe. I prefer quality over quantity but I do NOT like to get a lot of wear out of my clothes, because I have this odd unexplainable fear that they will wear out too soon, and what if I can’t replace them? Clearly I need to let go of my silly fear of having things wear out, and focus on fun, the pure joy of wearing what I love. I feel the same way about not wearing certain items too often if I really love them, so they won’t wear out too soon! I do wear them though, just not every few days. I have become very meticulous about caring for my clothes toomand find this makes them last longer. I wash most things in Woolite in a delicate cycle. Since I ‘m a spiller, I use oxi clean spray on spots. Once cleaned, I take extra effort with finishing, like steaming or pressing, lint removal, etc. Deby, I am also extremely meticulous about caring for my clothes. And after reading your comment I’ve decided I’m going to begin wearing my favorite E.F. shirt once a week, instead of only now and then, and have faith that when it begins to wear out I will be able to find, and be able to afford to purchase a new one. Since I live and work in an extremely casual environment I don’t have as many opportunities as I would like to wear all of my favorite clothes. I do dress well even when I’m just staying home but I have a separate small collection of extremely comfortable items for home wear, and they do wear out quickly, but I’m OK with that. And although I’m not a trendy dresser, from past experience I know that my clothes (the ones I wear when away from home) go out style long before they wear out, and I end up giving the thrift stores perfectly good out of style clothes. So I need to keep reminding myself to have fun with what I wear and stop worrying! I love this exchange between the two of you, Terra and Deby. Before I even got a chance to comment, Deby had helped Terra to realize that she should be wearing her favorite pieces more often! I share a lot of your experiences, Terra. I’ve been pushing myself to wear the clothes I love even if I’m just going to the grocery store or on a similar errand. I feel better and I’m happy to be wearing my clothes. Of course, I still have too many, so I continue to pare down and I’ve also been pushing myself to wear some of my “regular clothes” at home. Great words of wisdom from both of you! So I have a question… when you say 100-120 clothing items, plus 25 pairs of shoes… are you including ALL your clothing plus scarves, OR is this by season? Do you keep all your clothes out year round? I’m really bummed at the moment, because I’d just gotten my “summer” wardrobe to a manageable level, and now I’ve gotten out my winter clothing for an upcoming business trip to London and I feel like I’m starting all over. I’m doing the “reverse hanger” thing to figure out which things I’m really wearing. I live in south Louisiana, where it’s warm most of the year, but I tend to get cold easily, so from November through February I generally wear long sleeve shirts and sometimes sweaters. We also travel to places where it’s colder than it gets here. But some days it’s warm enough for short sleeves, even in winter. It seems like I have multiple wardrobes, as we work at home and most of our weekend activities are casual, with the occasional wedding or special dress up dinner. Most of our travel includes conferences & business dinners, so I have a different wardrobe for travel. It’s frustrating, as I have clothes in my closet that I only wear for trips… I am happy that I’ve finally put together a business trip wardrobe that I’m comfortable & confident in, which makes packing so much easier. My saving grace is that I’m not a shoe person. I have picky feet too, so I stick to what’s comfortable and have just a couple of pairs of dress shoes. I need to pare down to what I actually wear… I just counted a total of 160 pieces, plus 20 scarves & 13 pair of shoes. That doesn’t count socks/underwear, swimwear, workout or sleep wear. Normally I don’t have that many pieces actually in my closet at all times, but still, that’s what I own. Thanks for your comment and questions, Diane. My “ideal wardrobe” of 100-120 pieces includes my clothes for the entire year, but does not include scarves, workout/lounge wear, or sleepwear. For the first time in as long as I can remember, all of my clothes for the whole year fit in one closet (my coats are still in the front closet, but everything else is in the bedroom closet). I do live in a fairly temperate climate without “real” seasons, but I know others who live in more variable climates who maintain smaller wardrobes. Thanks, Debbie! I’ve done the hanger trick several times & it always clarifies what I’m actually wearing. I probably have too many long sleeve tees… so we’ll see. I don’t have an extra closet for my jackets, so I like to pack those away in the summer to make more space. I’d love to get to the point being able to keep everything else out without crowding! I think 100-120 items sounds ideal! I’m in London now, with a minimal wardrobe, and doing fine. I wore dark jean leggings with a tshirt & hoodie, brought 1 pair of black slacks & 1 extra pair of dressy jeans, plus a pair of black corduroy leggings for 6 days. 2 dressy tops, 2 turtlenecks, 1 long sleeve tee, 1 sweater, 1 dress required for a dinner, 1 jacket & 3 scarves… wore a pair of boots & brought 2 pair of shoes. With socks, tights, undies & sleepwear, it’s still more than I want to carry, especially when I add the necessary electronics because we’re here on business. It’s SO much better than I used to pack, but still I want to pack & carry less! I’m glad you’ve found the “hanger trick” helpful, Diane. It sounds like you packed well for London. Packing is difficult, but I agree that it’s easier to do with a smaller wardrobe. When my wardrobe was at its largest, my packing was HORRIBLE! I didn’t really know what I had, so I threw far too much in the suitcase. I haven’t traveled much (only one overnight trip) since I’ve been paring my closet down, so it will be interesting to see how much better I do with my more streamlined (but still too large) wardrobe. I will be sure to blog about it! Hopefully, a trip is in my not too distant future. Enjoy the rest of your time in London! As I was perusing my wardrobe yesterday to determine if any of the clothing that I wear mostly in the winter needed replacing, I recounted the items in my wardrobe: 119 items plus 11 pairs of shoes (sandals , boots , heels , flats , slides , athletic/hiking shoes [1 regular, 1 waterproof], and oxfords ). Except for a few bulky items (winter coats and heavier sweaters) all of my wardrobe hangs in my closet year-round so I can see all of what I own. (I organize buy color, then sleeve/pant length and/or material. Having all my clothes on view prevents me from buying duplicates or similar clothing. I also have everything inventoried on a spreadsheet. I don’t need to track frequency of wear because nearly of my clothes are in use all the time (well, not the tank tops in winter or the heavy sweaters in summer, but at least 85% is always in play). I’ve developed my own strategies for extending the wearability of clothing (layering, etc.) throughout the year, and tend to buy clothes that are adaptable for a 4-season climate. I would rather not spend a lot of time “managing” my clothes so simplicity is my by-word: not a lot of decoration, prints, trendy styles and other distractions. That seems to be a good sized wardrobe, Dottie. We organize our closets in very similar ways. 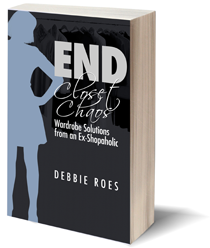 When I was working with wardrobe consulting clients, I noticed that most of them didn’t organize their closet at all! No wonder they found it so hard to get dressed every day! A well-edited and organized closet really can help us to dress easier – and better. I organize my closet in a similar way. Pants together (mostly denim & black!) dresses together & skirts together (nearly all black), then tops by color & sleeve length. It makes it so much easier to find things! Firstly, what we want, what we think we need and what we actually DO need are two different things and I think we all know that. I know I don’t “need” a lot of clothes, I just want them and believe each new garment will be the missing link to a fabulously perfect wardrobe of clothes, shoes and accessories – a minimalist one of course, LOL. I have just returned from 4 days holiday in another city. As usual, I didn’t need everything I took. A friend of mine travelled around Europe for 6 months with a carry on bag. I couldn’t believe it when she came to stay with me just how little she had for such a long time away. I would find it very difficult to be like her but I often think of her as an example of someone who does not buy into the desire of needing tons of clothes and proving that, in fact, you don’t. As she is an artist, her clothing is not hum-drum boring either but she had enough to assemble outfits for all the occasions that she came across on her travels. Secondly, even though I might not “need” that much, I often fail to actually purchase the clothes I DO need and instead buy clothing I don’t really need but find much more alluring to own. Example, I really need shoes that I can walk in all day, “comfy” shoes but I would rather buy a cool pair of boots. My feet are killing me after schlepping around for 4 days in gorgeous but not ideal for walking miles in boots!!! I have loads of beautiful silk tops and gorgeous jackets and can dress to go out in a nanno second but dressing day-to-day is a torture for me. I don’t go out that often either – I have more than enough in that department. In other words my wardrobe is unbalanced and although I have “enough” clothes, there is too much enough in some categories and not enough in others. Getting the balance right is a new challenge for me. I very much identify with what you wrote in this comment, Carolyn. As this year has gone by and I’ve increased my awareness of my shopping behaviors, I’ve realized that I also fail to buy what I need most while accumulating clothes that I rarely wear. Now that we realize these patterns, it’s time to turn it around! I’m not sure if I’ll ever be like your friend who traveled through Europe with only a small bag, but I want to move more in that direction! Just one other thing I wanted to add. As I have been going through my wardrobe there is another theme that is becoming clearer to me in relation to “enough.” That is, knowing when to stop when you are onto a good thing. In the past year I have had a love affair with a particular shade of green. It started out with a green coat and was followed by a green dress then green tops, sweaters, belts, shoes. There is just too much of it, there is MORE than ENOUGH of this shade in my closet and I certainly don’t want to dress head to toe in green. The green coat itself and a top was “enough” and I should have left it there. But, no, not I. I struggle to stop at enough. Funnily, as I purge my way through the green items, the original garments I bought because I loved them (the coat, a dress and a top) are the only ones I love, still wear and still want to wear. They were enough and I needed to stop there. We have walked a very similar path, Carolyn! I found myself nodding with this comment, too. I am trying to only buy one or two items of a given color or style now. I used to always think “more is more,” but what often happens with that attitude is a lot of waste! I found that i like going with a basic color. Although not a fan of black it works with everything. I have purchased mostly black pants. I found the Starfish collection and the collection from Coldwater Creek to work perfectly for dress and everyday wear. Extremely comfortable too. Amazing. I own lots of white and black but many colored tops as well. I believe in buying good costume jewelry. Not trendy costume jewelry. Then you are always in style. I went. to black when i had to pack for trips. Just so much easier. The Starfish collection from lands end fit well and wash wonderfully. I am going to try to throw out two things for every one thing that comes into the house. Welcome, Maddashin, and thanks for your comment! I’m glad that you’ve found a way to get dressed that works well for you. If you’re not too fond of black, you can also incorporate other neutral colors such as grey, navy, tan, white, brown, or cream into the mix. It’s wonderful that you’ve found ways to marry comfort and style, as that can be challenging for a lot of people (including me!). Best of luck to you with paring down your wardrobe this year. The one-in, two-out method should be very beneficial. That’s pretty much what I did in 2013 and I made excellent progress. I think these tips on needing more or less clothes are spot on. And I fall under the needing less clothes for many of the reasons you listed. It’s become very important to me, that my clothes ‘work’ for their place in my wardrobe. I am using my hard earned money to purchase the clothes I have, so they clothes should also work hard (by being worn often) to earn their spot in my wardrobe. I ran some statistics on my wardrobe last night. I’m in the middle of DH’s closet challenge, so only my fall/winter wardrobe is ‘set’ at the moment. If spring ever comes, I can start working on the size of my spring/summer wardrobe. But that the moment, I have 52 items for my fall/winter wardrobe. And I have 188 total items. (I am not including shoes, handbags, outerwear, or loungewear in these numbers, however, my gear is in the numbers.) That means I am only using 28% of my clothes right now. And this number is even smaller when I consider that a portion of my fall/winter wardrobe is either gear/workout outfits or thermals. If I subtract those items (12 pieces), I’m at 21%. The usual number I see for how much women wear of their current wardrobe. Now looking ahead, let’s say I add the same amount of pieces for the spring/summer wardrobe (52 again). This would mean I still will have 84 items sitting unworn in the ’boutique.’ And it means I will end the year with 45% of my clothing as ‘benchwarmers.’ I’ll be wearing about 55% of my clothes, which isn’t a bad number, but it would be nicer if that number was a bit higher. I’m still trying to figure out how long the boutique should stay open after I get through all four seasons. I love that you enjoy statistics as much as I do, Lisa! I think we are in a similar place in terms of wardrobe size and utilization. I have everything (except outerwear) in my main closet now and it still looks too full for me. I have more than enough clothes, yet I still find myself wanting more. Clearly, I need to do something else to help me pare things down further. I’m mulling ideas at present… It’s interesting how most women only wear 20-30% of their clothes and how that number is bearing out for you. I think my percentage is higher now that I’ve pared down quite a bit (and will be still higher once the summer clothes start being worn), but if I look at the items I wear FREQUENTLY, my percentage goes down. I still find myself wearing some clothes out of guilt or obligation and those clothes really should GO. I know I’m getting there, but it gets really frustrating to have the same issues come up again and again. I think your husband’s challenge would be helpful for many women. IF you’d ever be willing to guest post about it (you can remain anonymous, just like Dottie did with her guest posts), I’d definitely be open to it! I have also been wondering what to do about purging items further. For a while, I was very stressed about doing so. After all, I cannot shop for new things, until the boutique is gone. This thinking did not work for me. Anything that is extreme, usually sets me into panic shopping mode. When I first started the DH closet challenge, I kept checking in on my clothes, as if they wouldn’t be ok sitting in another closet! I’ve only done 1 purge so far, even though I just completed 5 months of the challenge. And that’s fine. By keeping the boutique this long, I’ve been able to see patterns in my shopping. I see a new sweater, I check the boutique and see something similar and realize I am not even wearing the one I own yet, I certainly don’t need the new one. Then I look at the working closet, is there a sweater I am ready to pass on yet? No? Well again, that means I don’t need the new sweater. I’m only just starting to realize, it doesn’t matter how long the boutique is in business, I’ve already spent that money. If I truly like everything in there, then there is no reason to purge it all for the sake of purging, nor is there a reason to purchase anything new. The boutique forces me to be accountable for my actions. It’s presence shows a physical consequence of my overshopping. I figure when the time is right, I’ll either purge everything in the boutique or have naturally purged it by replacing working closet items with boutique closet items over time. How long this takes doesn’t matter. I only recently realized that the reason why the ’boutique’ is bothering me is, it’s preventing me from shopping! And this is a good thing. In fact, the longer the boutique is around, the longer I have something putting the brakes on my shopping. I love the insights you’re gaining, Lisa. Like you, I struggle with doing anything too extreme. In the past, I’ve pared down quickly and then went and shopped a lot m0re soon after. I also agree that we shouldn’t purge things for the sake of purging. That’s why I hesitate to set an absolute target wardrobe size. I did it in my goals for the year, but I’m also okay with not meeting that goal if it would mean getting rid of pieces I still enjoy wearing. The most important piece for me, I think, is to stop shopping so much. If I slow down the in-flow, then the rest of it will fall into place. I also need to be more strategic about what I buy, but buying less will also help with that. I really likes this article and I rarely comment on blogs but this was very helpful. I especially liked the part where you said how some people hang onto clothes for someday yet many, many some days later they’re never worn. That’s perfect! If you haven’t worn it in a year, there’s a good chance you won’t be wearing it again. Thank you for this! 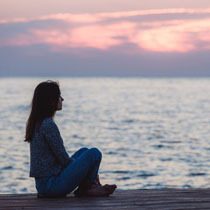 I invite you to visit my new blog, “Full Life Reflections,” which centers on the pursuit of happiness, peace, and fulfillment in a chaotic world. What is a "Normal-Sized" Wardrobe? Do You Wear Your Clothes 30 or More Times?